The original enrollment system cost $200 million and would have required $70 million a year to maintain. The new version of the site cost $4 million to produce, with annual maintenance costs also $4 million. There is a lot of debate whether the 10x developer is reality or not. But this article proves that the 10x team is definitely reality. But the article also points out that it does not (only) depend on the people in the team, but also on the project setup: Is the team in a position to make a difference, or is it helplessly entangled in bureaucracy. We don’t make career hires. We’re not building a career organization. […] We are relentless about trying to hang onto the ruthless mission focus here. We are built for short term appointments. 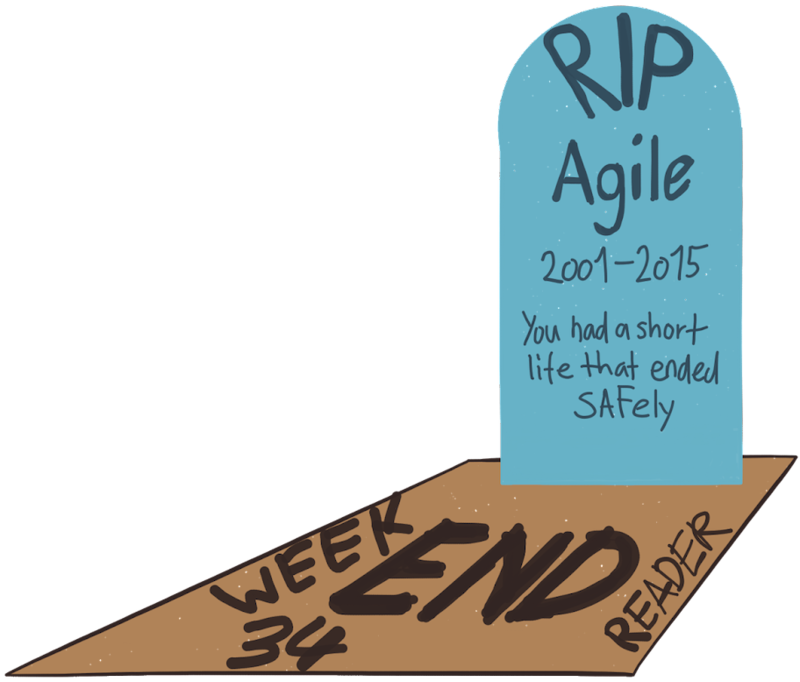 Agile: No. Agile Does Not Scale. At small scale, Agile is great. At large scale, Agile is stupid. SCRUMstudy turns my 16 page framework into 350+ page methodology. They didn't read Agile Manifesto. As we introduce agility into larger instances, we’re losing the very essence of agility that made it attractive in the first place. We don’t have a scaling problem, we have a “trying to throw too many people at it” problem. We have a “love of size and scope” problem.